An AMICI exclusive, the SealFlex disposable ribbed cushion masks have human engineered natural contour to provide an excellent seal while promoting patient comfort and cooperation. The transparent material allows for unobstructed patient viewing. The natural contour and pleasant vanilla scent provide total patient comfort while allowing visibility of obstructions and patient cooperation. 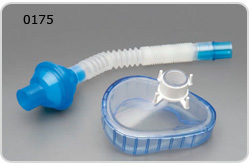 Note: Standard SealFlexTM Mask Kits are made with the adult-sized mask. 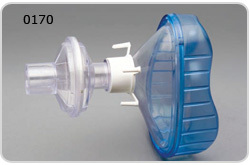 If you require the large adult mask, add an "L" to the end of the model number (i.e., 0170L = 0170 with large adult mask).